Easy-To-Use The pocket wrap closure system and simple-to-tighten pulley system makes the Unloader Hip easy to use and adjust. Optimum Comfort With its breathable Lycra material and elastic sections, the Unloader Hip provides a comfortable and snug fit - allowing a discreet fit under clothing. 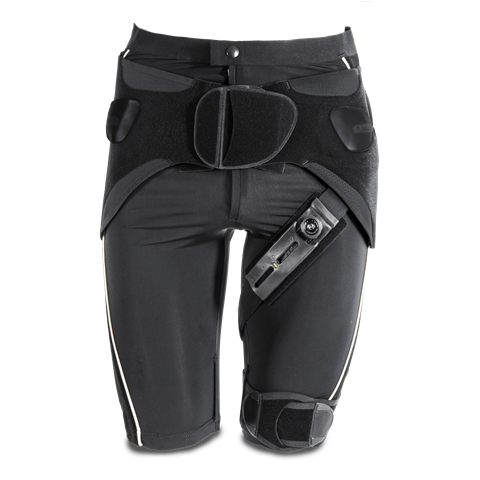 Improved Mobility The Unloader Hip provides proprioceptive support through compression of the affected area. The Rotation Control Strap then allows individual adjustment of hip abduction and the external rotation force, resulting in improved mobility for users. Visit the Unloader website to start your journey. 61 y.o. male presented with 6 months insidious onset right groin pain without preceding incident or trauma. He particularly noted pain upon leaning forward, stretching, and especially when he walked. Presents with left hamstring pain after 3 weeks into running training. Has marathon in 6 weeks. Past medical history includes prior left knee arthroscopy for partial medial meniscectomy. Femoroacetabular Impingement (FAI) with hip osteoarthritis (OA). FAI, also known as hip impingement, is a condition that causes pain in the young adult’s hip and is the result of a mismatch in shape and size between the femoral head/neck and acetabulum (ball and socket joint of the hip). Measure the hip circumference at the anterior superior iliac spine. *Measure the hip circumference at the anterior superior iliac spine.